As you can see, I divided it in four different Levels. The first level is the sum total of al three Ages, which starts where the Abrahamic religions place ‘Creation’. Level 2 is the Age of the Son, which is when Jesus Christ is said to have been born. Level 3 is about half of the Age of the Son, starting with the beginning of the Renaissance. This is the ‘active’ part of the Age, where they started to consciously work towards the new Age. This is when the secret societies and Mystery Schools again resurfaced, and also when the teachings of the Greek sages again were ‘found’ after being lost for many centuries. Much of the total narrative consists of a comparison between the latter part of the Age of the Father and the last 500 to 700 years. I compare the similarities and the differences with how during both ‘active’ phases the New Age has been brought in. Since the Renaissance the teachings of Plato, Aristotle etc, have been ‘updated’ in order to facilitate a new transition, but this time globally. The outcome of the Age of the Father was the Roman Empire, whereas the climax of Age of the Son is World Empire. We commonly refer to this as the New World Order. Level 3 consists of two major factions that are bringing in the New Age, which I’ve simplified to Scientism and Mysticism. Both have as major task to attack the Old Order and to weaken, infiltrate, subvert and in the end overtake them. This has been accomplished almost completely nowadays. Both factions have undergone a growth-process similar to the Caduceus-staff of Hermes, which with evermore wider and bigger ‘pulses’ progressively evolves and overtakes all that was. The end-goal of both factions is the establishment of Utopia, or, at a deeper level, ‘godhood’ on Earth. Mysticism refers to the Age of Aquarius, and Scientism to the Age of the Spirit. Both are the same. Utopia is the modern version of Heaven on Earth; and Heaven, my friends, is said to be made of Aether. The merger of both factions happens during Level 4, where the hieros gamos is established. This we can refer to as the New World Order-phase, which began during the early twentieth century. This is also when the first public calls for a NWO were made. This process is nowadays still ongoing. During the Age of the Spirit the State must become ‘God’, something that has been worked towards at least since Hegel. Through the planned sacrifices of the World Wars, all necessary ‘organs’ for the ‘World Body’ and the Global Brain were established. And through technology and electronics the world is made one giant interconnected ‘entity’. The World Order is constructed organically, wherein they mimic Nature and natural processes. This is what Alchemy was [and is] all about: Following in the Footsteps of Nature. The system they chose to unite the world is Technocracy, which basically is the synthesis of capitalism and communism and an outgrowth of Fabianism. It also has an eerie resemblance to classical Fascism. 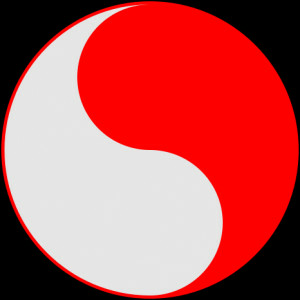 Technocracy seeks a harmony between man and Nature, and as their logo tells us: the merger between the red revolutionary and the white anti-revolutionary factions. I argue that those really signify the white Mercury and the red Sulphur of the alchemical method. On one level these two colors of course make pink, which is also part of the plan. But at a deeper level the middle color of the seven divided but still united colors of the Rainbow is, of course, Green. The rainbow comes out of the ‘fight’ between Mercury and Sulphur, and with a little ‘Love’ they hope that a kind of evolution is forthcoming. One of the main themes of the Great Work is the longing for the New Day, which is the Seventh Day of Creation, or the Cosmic Sabbath. I argue that there are two possible ways this can turn out: an Age of ‘Gold’ or one of ‘Lead’, which, obviously, signify a positive and a negative outcome. I tend to hope that the outcome is open-ended, but if the good people do nothing then the outcome will certainly be the negative one. And because one man’s Heaven might as well be the other’s man’s Hell, I therefore decided to call the series Dystopian Dawn. It are four books in total, all consisting of about 400 pages plus a shitload of endnotes for further research. I will be busy the next weeks with streamlining the narratie and finding out how to add a webshop-function of some sorts. [I’m not that techsavvy!] The first 100 or 200 pages will become available for free, so that you can see upfront if it is something for you or not. In time, parts of the books will also be published as smaller essays here on this website, replacing the ones that are already there because those are of a far lesser quality than the end-product. Keep an eye on this website to learn more about it.